This herb and fennel crusted salmon might just be my new favourite way to eat it. I love salmon raw, poached, grilled and pan-fried, but this flavour packed crust gives it an amazing texture and it’s so easy to do. I really love recipes that kind of cook themselves and require minimal prep. Perfect for when you are time-strapped but want to impress. 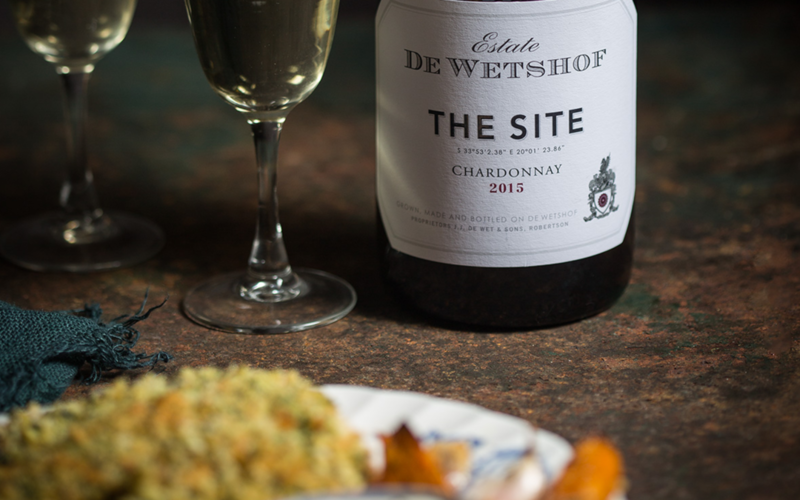 I paired it with the De Wetshof Estate The Site Chardonnay, a classic wine with typical Chardonnay characteristics of nuttiness & vanilla. It’s a beautiful and complex wine with bold flavours that do well served with something a little special. It cuts through the fattiness of the salmon and marries perfectly with the fennel. Made from grapes that come off perfectly located vineyards that date back to 1986, this wine is made in the vineyard as much as it’s made in the cellar. It spends one year in French oak barrels to give it more character.